Asiatic Events Marketing Ltd also known, as AEML is a Dhaka based interactive marketing communication firm dedicated to serving its clients to meet their business objectives and effective market communication practices. It is the leading agency of the country and mainly prioritizes below the line activity from activation to events and direct marketing; newly added Digital online marketing known as Cookie Jar. It is under the 360 communication plan of Asiatic group. Aly Zaker and Sara Zaker are the founding members of the agency and it got its operative license from the internationally recognized JWT agency. AEML has been in operation from 1993 and have had huge success rate in the field on BTL communications since its inception. One of their biggest achievements was to arrange ICC Cricket World Cup, which was held in Bangladesh. More than 80 clients are currently having account with Asiatic for all their BTL campaign, activation, events as well as their direct marketing. The newly added digital wing know as Cookie Jar was created to cater the demands of the digital and social media marketing for it clients. It is one of the first mover companies in Bangladesh market in digital marketing. Currently it is operating one of the biggest brands Facebook page in Bangladesh, which is Airtel Buzz. It started its operation in digital marketing in 2006 however from January 2013 it started social media marketing for the brand page Airtel Buzz and now it is one of the biggest social media marketing firms of Bangladesh with a semi annually turnover of 1corer taka. Its current clients are Nokia, Airtel, Ekhanei.com, Samsung TV, Igloo, Mi Amore, Pepsico, Samsung Camera and Notebook, British American Tobacco, Bkash and Cycle Life and many more. Asiatic aspires to be the most admired and trusted organization through excellence in the marketing communication channels, following ethical business practices, and adding value to its stakeholders. During the early years of the company’s life, the founders and leaders of Asiatic generally service development. During the time of formation the team was working out its basic services, initial value proposition, market focus and initial go-to-the market approaches. Once the service level reached a reasonable point of maturity, the Asiatic team began to turn their attention toward company development. One of the best step an organization can take at that point is to become an aspiration-driven company the leaders make clear organization mission, vision, values and priorities; these aspirations, in turn, serve as guide for all employees and market participant involved with the company. The principle Cookie Jar is to respecting a client no matter how much is put in or how big or small the work is. “Spending intelligently and creatively helps the firm to get reorganization of its clients as well as”- Syed Dastagir, Head of market communications of BBC was quoted as saying. “Successful would only come if we place ourselves in the shoe of our clients and think for good, think for betterment”. Tahsin Saeed the CEO of Asiatic Events. 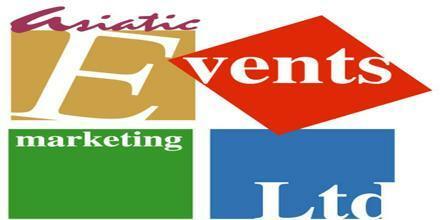 Events: Innovative brand experience by most relevant and targeted customers. Urban Activation: Powerful brand engagements with the right target group creating conviction and desire to purchase. Retail: An impactful reminder of brands at the point of purchase aiming successful sales closing. Digital: Engaging with consumer through the new digital world. Asiatic Events Marketing Limited is under the platform of Asiatic 360 degree hood and the area of Operation lies in the field level as well as corporate level in almost all the parts of our country for activation, event related activities and digital related activities. We manage contents like image, link, video posts for Facebook, Twitter and Google+. Here it also includes copy writing for the post and post creative creation. We also maintain the service and product related support through the Social Media. It includes replying to customers queries received through social media website. We run several types of campaigns in order to get more likes, people talking about this, impression and reach. We maintain the campaign with our own strategies. These campaigns can be competitions arranged to engage online customers and give better brand experience. We develop the apps for the campaign we run. We develop world class app which are already using for our different campaign. We also do the campaigns of different media contents like TVC, videos, blueprints etc. There are basically four departments in AMEL. 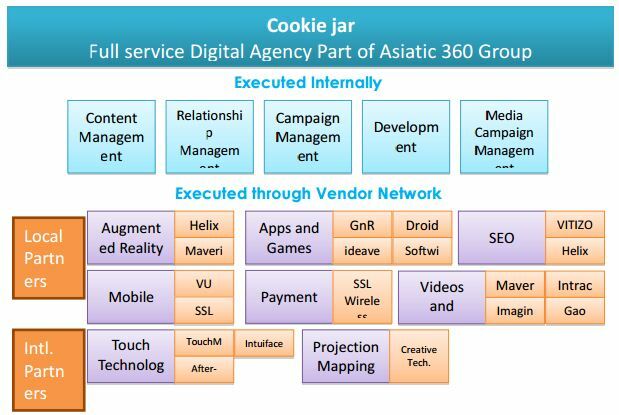 The digital client service departmentknown, as cookie jar is the one, which maintains liaison with the clients, the creative department is the one that fulfills the requirements of the client’s needs and other departments ensure smooth functionality of the organization. This department helps to find out the best people, who can suits with this organization. This department also motivates the employees in various ways. a) Recruiting of new employees are their concern. b) Training and development of the interns are going in a good way is also their concerns. f) Reporting to the Executive Committee/ Board on related matters. a) Circulation of opening for digital account executive is circulated among the different departments, daily newspapers and online job sites. b) Once the CV is collected, it is screened for the best candidates and they are called for case presentation. c) The case is usually provided with real life project topic, where the candidates are given 3 hours to prepare the case and present. d) Once the case is presented the candidates are shortlisted. e) The shortlisted candidates are called for final interview and the best candidate is chosen among the many. The basic function of the client service department is to maintain relationship with the clients and prospects. They communicate the thought of both the parties between two parties. They are one of the most important parts of AEML because they are the persons who find out the things customer needs and finding the need is one of the most useful ways to keep the client happy. This department is the heart of the whole organization and it co-ordinates within the functions of the various department in the agency. Finding out the reasons that make communication campaign fail to have more reach or engagement and brand experience. Whether AEML digital plan works for the client or not? What type of digital communication campaign is needed to help develop more effective communication campaign? What was the success of the campaign? What change is needed in the campaign? etc. This is the mind of the organization because it is them whom make AEML popular and effective to the clients. They perform certain acts. Some of them are given below. The finance department of AEML functions like finance department from any other business organization. They do budgeting for any digital communication campaign and contest as well as for online promotion and advertisement campaign. thoroughly described in this report. This report mainly features on maintaining brand communication through social media. Here in this repot I mainly discussed on the effectiveness and efficiency of the social media for which a survey was undertaken on the users of social media. The results show that brands presence in social media is a must as people spend a large part of their time on Facebook and when on Facebook they not only like to communicate with their friends but during their time spent there they also like to interact, search and know about brands they see or hear from different media. Moreover, through the study of social media articles of home and abroad and work experience at Asiatic Events Marketing Limited (Digital) a true picture of social media in the world, at home, amongst different digital firms and which brands are maintaining social media presence and their objectives and strategies were tried to be presented.